RETIREMENT COACHING – DEBBIE DRINKARD GROVUM-I learned the hard way that summer running in Florida is fraught with danger. A few weeks ago after running my usual distance at my usual speed, I started to get dizzy. As the afternoon wore on, it didn’t matter if I stood or reclined, I was dizzy. Being a bit of a health worry-wart, I imagined all kinds of dire explanations for my dizziness. When I calmed down a bit, I conducted a very un-scientific assessment and realized I had not replenished two pounds of liquid after my run. No wonder I was dizzy; I was dehydrated. After drinking huge amounts of water, I googled dehydration to learn how I could avoid this in the future. 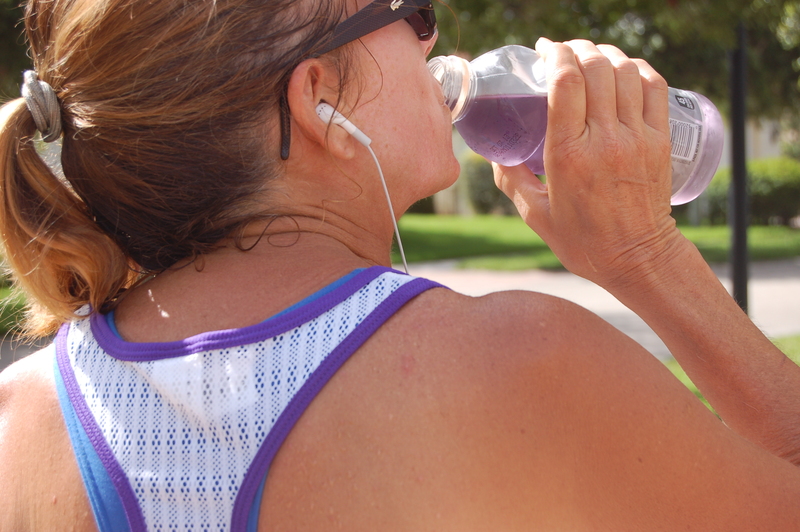 The easiest way to avoid dehydration is to drink fluids before, during and after exercise. I don’t feel thirsty after I run, so I had to learn to drink even though I didn’t feel like it. Now I drink before and after I exercise and haven’t been dizzy since. Taking good care of our mental, emotional, and physical selves is like staying hydrated. We know what is good for us, even though we don’t feel an immediate need. When we nourish our body and soul on a regular basis, we function better. One source pointed out that “the body’s fluid needs vary with exertion, climate, humidity, terrain, and other factors.” The same could be said about our emotional and physical needs, as well. Additional stresses create a need for additional pre-emptive attention. It is important to take care of ourselves before we start to feel depleted. Routines that nourish us build our reserves so we are prepared for optimal living. The most important ways we hydrate our lives are eating well, staying active, getting enough rest, maintaining connection and living with passion and purpose. How do you hydrate your life? What do you need to add to hydrate your life? What is one thing you can do in the next week to hydrate your life? This entry was posted in Debbie Grovum, TOPIC - Health, TOPIC - Keeping Active and tagged health in retirement, hydrating, seniors and being dehydrated. Bookmark the permalink.